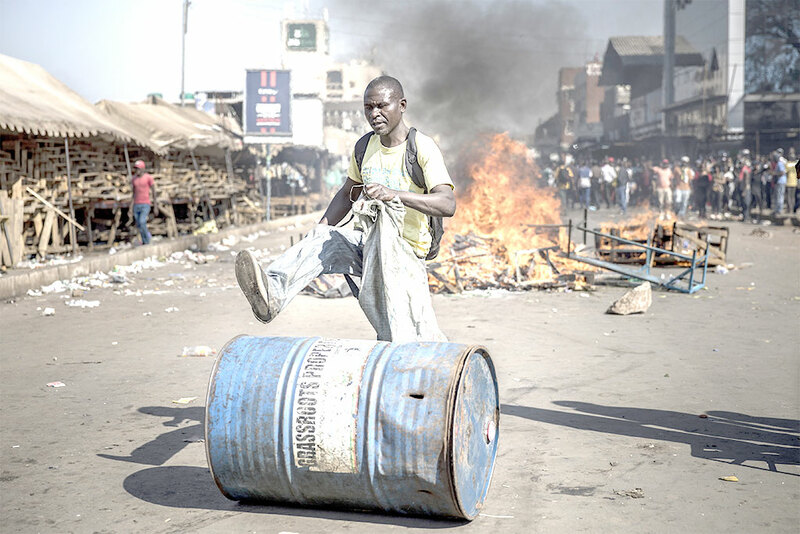 A supporter push a barrel in front of a fire in Harare on Wedensday, as protests erupted over alleged fraud in the country’s election. Three people were killed in protests in Zimbabwe on Wednesday after the army opened fire in central Harare during demonstrations over alleged fraud in the country’s elections. The Zimbabwe government on Wednesday pledged to enforce a security crackdown to prevent further unrest after the army opened fire to disperse opposition protests, leaving at least three people dead. “We will not tolerate any of the actions that were witnessed today,” Home Affairs Minister Obert Mpofu told a late-night press conference.